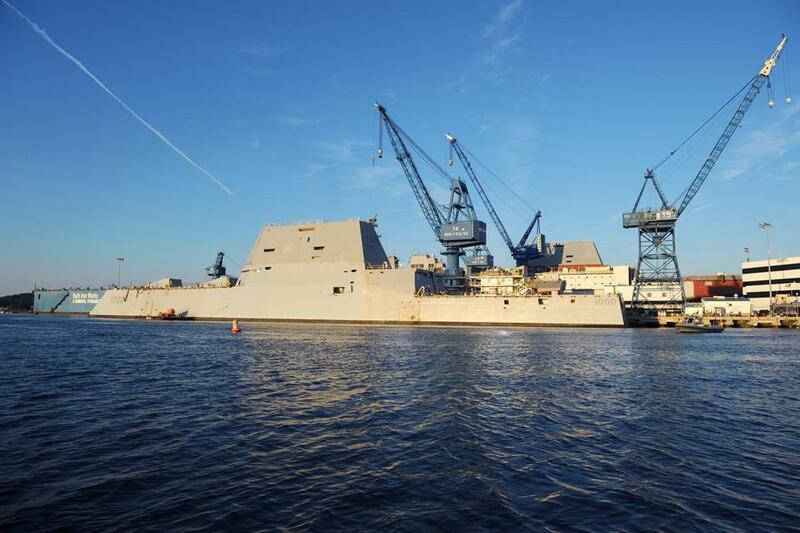 A high-tech Zumwalt-class destroyer is nearing completion at the Bath Iron Works in Maine. WASHINGTON — With sharp angles and sleek surfaces that evoke Hollywood science fiction, the Zumwalt-class guided-missile destroyer is the weirdest-looking warship produced in Maine since the Navy launched a low-slung oddity called the USS Katahdin 125 years ago. Widely mocked, the Katahdin ended up being used for target practice. The 600-foot Zumwalt — picture an Aztec pyramid welded atop a machete blade — is an infinitely more elaborate and costly ship, a futuristic showcase crammed with electronic innovations. But it, too, appears destined to fall well short of its promise. After two decades on the drawing board and a tortured recent history, the $22 billion Zumwalt program is seen by numerous critics as a prime example of Pentagon budget bloat, delays, and misplaced priorities. The Navy doomed the ship to sideline status when it slashed its order to just three of the vessels, from an original plan for 32. It disclosed in 2008 that the warship would be vulnerable to enemy missiles and submarines. And it has publicly questioned the destroyer’s mission and usefulness. Yet plans to build three of the pricey ships — at $4.3 billion each — went ahead. That price tag is 50 percent higher than the Navy projected a decade ago. It excludes another $9.1 billion spent in research and development on the overall project. Its radically shaped hull also is making waves. It tapers up to the deck instead of flaring out like a traditional ship, making it harder to detect on enemy radar but raising questions about its seaworthiness. Critics say it could capsize in hurricane-force storms. Now, the first of the three ships is 97 percent complete at Maine’s storied Bath Iron Works shipyard and nearly ready for sea trials, even as debate continues over what role it might play for the Navy. Will the James Bond-style behemoth go down as another overpriced footnote in Navy history? Or could it, as its builders and Maine’s congressional delegation hope, provide the technological springboard for a Navy fleet of the future? Even the proud community of Bath — which has sent ships to sea for centuries and where the school sports teams are the Shipbuilders — is reserving judgment. 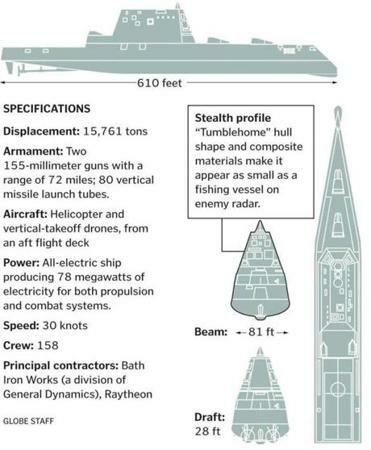 The big defense contractors building the destroyer — Bath Iron Works, which is owned by General Dynamics, and Waltham-based Raytheon Co. — referred questions to the Navy, which is standing behind the ship. Delays are not uncommon in first-in-class ships, the Navy said, while the reduction in the number of ships forced more fleetwide costs onto just three vessels, pushing up the average cost. The unusual design has been extensively tested with scale models and with computers, officials said. “We are confident the design is safe and there is no risk of capsizing while the ship is operating within its designed parameters,’’ said Commander Thurraya Kent, a Navy spokeswoman. Powerful critics such as Senator John McCain, the Arizona Republican who chairs the chamber’s Armed Services Committee, point to the new destroyer as a prime example of Pentagon mismanagement that demands an overhaul in the military’s weapons-purchasing operations. McCain compared the state-of-the-art vessel to the new Gerald R. Ford aircraft carrier, which is beset by cost overruns, and the Army’s ill-fated Future Combat System, which was canceled in 2009 after billions of dollars were spent. Planning for a destroyer of the future began during the Clinton administration, in 1994, soon after the end of the Cold War. Instead of cruising deep oceans and engaging the Soviet Union’s ships on the high seas, the Navy said, it wanted a destroyer that could sneak in relatively close to shore and shoot hundreds of low-cost bombs deep inland, to blow up enemy targets during an American land invasion of, say, the Korean Peninsula or Iran. The design, and debate about the design, proceeded at the pace of a rowboat. In July 2000, in his final year in office, President Clinton announced the Navy would build 32 of the ships, which officials said would give the United States a technological advantage for a new era of combat. The class would be named after the late Admiral Elmo Zumwalt, who fought racism in the service and was the youngest-ever chief of naval operations. But once the administration of President George W. Bush arrived in 2001, the Pentagon sided with Navy officers who supported building smaller, less-costly ships to operate close to enemy shores, in the “littoral combat” zone. Shifting global threats also worked against the Zumwalt. China’s rising economic status and muscle-flexing in the South China Sea revived the Navy’s desire to fight in deep ocean waters — a task better suited to the Navy’s existing fleet of Arleigh Burke destroyers (which the Zumwalt was meant to replace). An Arleigh Burke destroyer (produced at both Bath Iron Works and Ingalls Shipbuilding in Mississippi) costs about half as much as a Zumwalt. The Navy started slashing the size of its proposed Zumwalt fleet. In 2008, the Navy said it would curtail the plan to just two ships. Intense political pressure from New England’s congressional delegation — especially the late Senator Edward M. Kennedy , the powerful Massachusetts Democrat, and Senator Susan Collins, a Republican from Maine — persuaded the Navy to bump its order back up to three. The senators were fighting a parochial battle for jobs, and also to maintain the “industrial base’’ at the Bath Iron Works shipyard and at Raytheon, which is responsible for the destroyer’s electronics and weapons. Regional politicians, shipyards, and the Navy all have an incentive to keep the yards busy — to prevent any lapse in America’s shipbuilding capacity — even if it does not make the most sense militarily, or for taxpayers. But even with an orphan fleet of just three ships, the Zumwalt has been beset by outsized costs. Then this year the Navy announced delays — including a two-year postponement, to 2018, before the first ship will be ready to join the fleet. Even then the controversy is unlikely to stop. The Navy is expected to berth the first one in San Diego, but its mission remains unclear. The most obvious purpose for the $22 billion Zumwalt program is as a state-of-the-art test platform for experimental weapons such as lasers and electromagnetic rail guns, according to military experts. “Three hulls is really a token number for combat purposes,’’ said James R. Holmes, a professor of strategy at the Naval War College, in Newport, R.I. “Indeed, I doubt anyone would have agreed to the [Zumwalt] project knowing what the final numbers for cost and numbers of units would be. 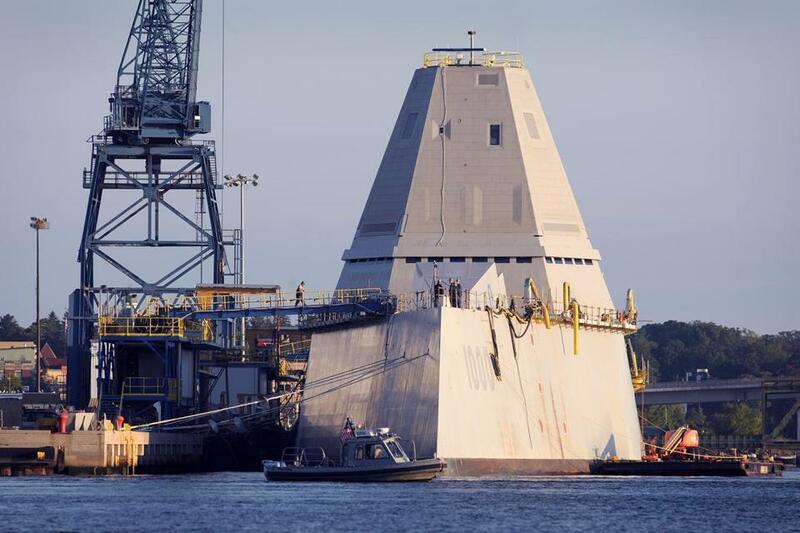 The first of three Zumwalt-class destroyers nears completion in this at Bath Iron Works in Bath, Maine. Wedged onto the west bank of the Kennebec River, 12 miles from the Atlantic Ocean, the storied Bath Iron Works shipyard has been in business for 135 years. Swarms of its welders and electricians and pipefitters produced 82 Navy destroyers during World War II alone. The Navy designed the Zumwalt to impress. It is loaded with ambitious gear, starting with twin turbines capable of producing 78 megawatts of electricity. All that power — yes, enough to power a decent-size town — can drive it through the waves with a quiet electric motor while simultaneously allowing it to shoot 155mm shells a distance of 72 miles from two foredeck guns and fire vertically launched missiles from tubes embedded in the deck. The extra electrical capacity also will be available for lasers and other weapons of the future, Navy officials said. Its angular surfaces and use of composite materials reduce its signature on enemy radar to that of a fishing boat. Its computerized control systems will allow for a vastly reduced crew, 158, for a ship of such size and complexity. But first Bath Iron Works and Raytheon must work out the bugs. The delays announced this year are in large part due to lengthy dockside testing of its new systems, the Navy said. Press reports have also said Bath Iron Works has suffered from a lack of electricians to do the work, an assertion that Wadleigh, the union chief, disputed. “In view of the highly complex ship systems that underpin Zumwalt’s unique warfighting capabilities, the Navy and shipbuilder are executing the test program for this first-of-class ship with extreme rigor to ensure the highest standards of quality and completeness when the ship sails,’’ said Kent, the Navy spokeswoman. Collins, the Maine senator who has championed the Zumwalt, said delays getting the first ship ready are typical of most Pentagon weapons programs. “The first ship always costs more,’’ she said. Lessons learned from the first Zumwalt, she added, will help avoid further delays and cost overruns in the second and third vessels (although the Navy lists $4.3 billion for each ship in its latest cost reports, an average based on total construction costs). 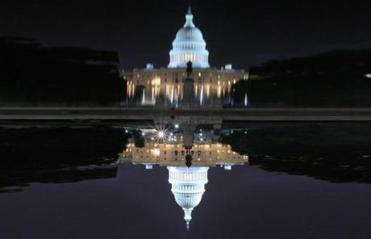 Bloomberg reported last month that the Navy was thinking about canceling the third ship, which is 41 percent complete. But Ray Mabus, the secretary of the Navy, told Politico recently that the point of no return had already been reached on that vessel: It would cost more to cancel than to build. Mabus was unavailable for an interview with the Globe, the Navy said. Meanwhile, some outside defense experts say the Navy should actually revive its plan for a much bigger Zumwalt fleet. Proving naysayers wrong will be the Zumwalt crew’s burden in December. That’s when the ship is scheduled to slide from its berth and head down the Kennebec River to the open sea for testing. Christopher Rowland can be reached at crowland@ globe.com. Follow him on Twitter @GlobeRowland.